Before the launch of Small Business Saturday next month, Mary Macleod MP, Small Business Ambassador for London has joined forces with Karren Brady to launch the Conservative Small Business Campaign and encourage companies across the area to sign up. 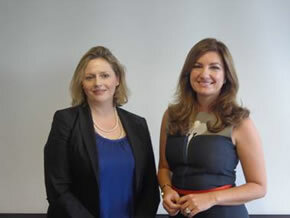 At their meeting, Karren Brady, who was recently appointed by David Cameron as the Conservative Party’s national Small Business Ambassador, discussed what more can be done by government to support small businesses in London in the run up to Small Business Saturday on the 7th December. Ms. Brady is a well-known businesswoman and a familiar face from the television series The Apprentice. Mary has recently been involved in a number of projects to support small businesses, such as persuading Hounslow Council to adopt a 30 minute free parking policy across the Borough of Hounslow. She also meets regularly with local traders to discuss their concerns and opinions. Commenting, Mary said;"The Small Business Campaign is vital to ensure that we continue to build a partnership with entrepreneurs and small business owners across London and I am delighted that Karren Brady has been appointed to help drive this important work forward."